I am experimenting with the BLOGGER , post by email feature. This blog was sent via email from my laptop, whilst having a nice Salmon & Cheese Bagel at Au Bon Pain at the Jungceylon Shopping Mall in Patong on the island of Phuket. I am about the visit the Tipoa Car Hire, which is just across the road near the Patong Hard Rock Cafe ! 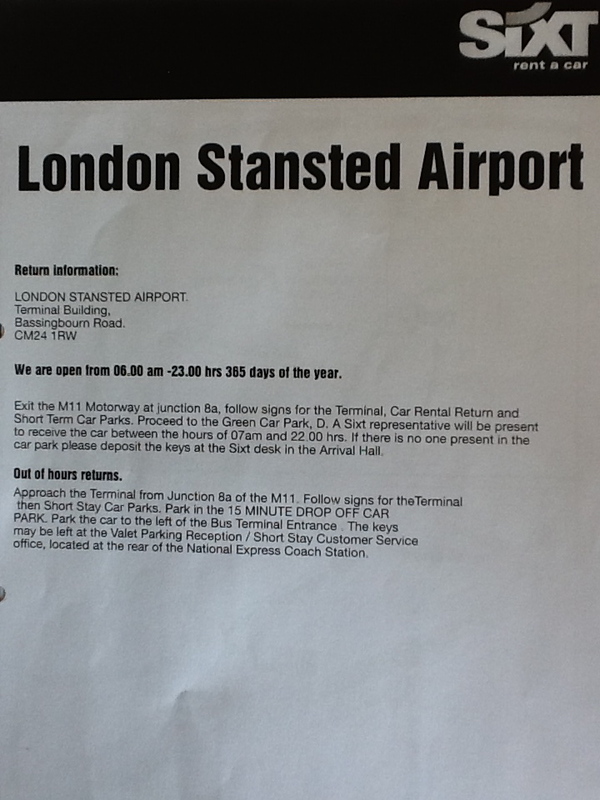 Stansted Airport [STN] is a modern and clean UK airport, located North East of London. It is the UK operational hub of low cost airline Ryanair. Rental Car suppliers who are linked to the online Tipoa booking system are broken down into two categories; "on-airport" & "off airport". 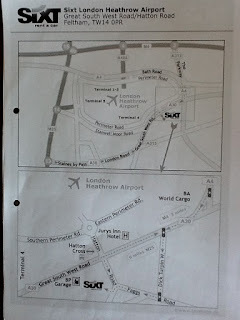 The off-airport ones are very nearby on the perimeter of the airport and are served by frequent free shuttle buses. These suppliers offer normally the lowest rates. The on-airport hire car suppliers could not be easier to locate. When you leave the baggage claim area, walk through duty free toward the exit. On your left next to Burger King are all the rental car desks. On this occasion I made my way to Sixt to present my voucher. It is worth noting that just on the outside pillar of the SIXT office the out-of-hours key drop box is located. 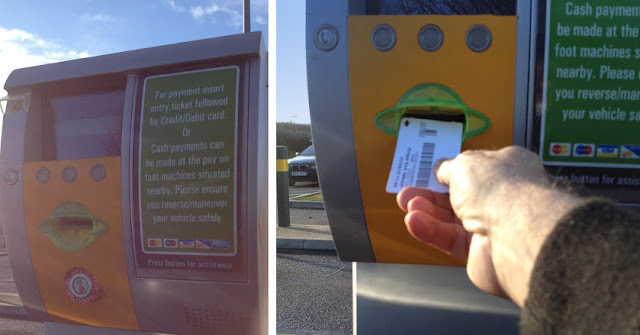 From whichever car supplier Tipoa has chosen for your on-airport reservation at Stansted, exit through the first large revolving door you come to on your left on leaving the rental car counter. Then turn immediate left down the ramp and follow the overhead signs. 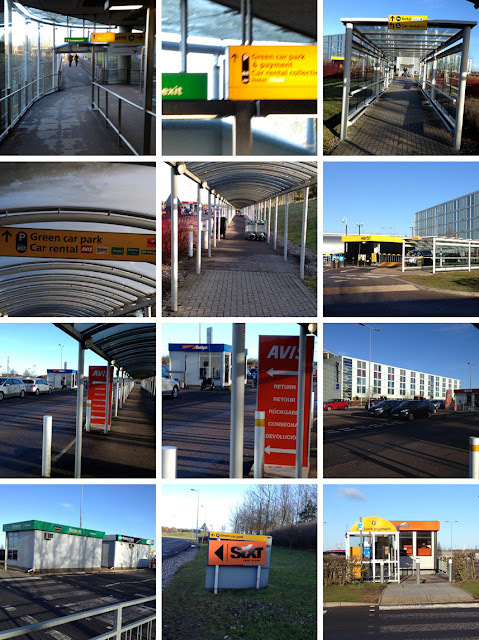 All of the on-airport rental companies are a maximum of a 5 minute walk under a covered walkway. If you reservation is for a non-airport supplier, such as Green Motion, exit the airport in the same way and wait at the rental car shuttle bus stop. 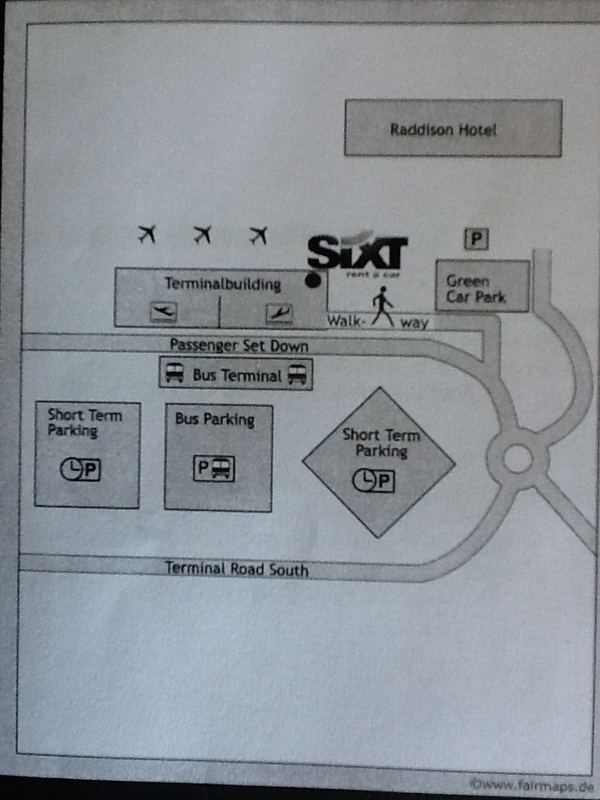 The walkway is well signposted by each of the rental car suppliers. On arrival at your supplier make sure you photograph the car all round, if you have time to avoid any misunderstandings on your return. 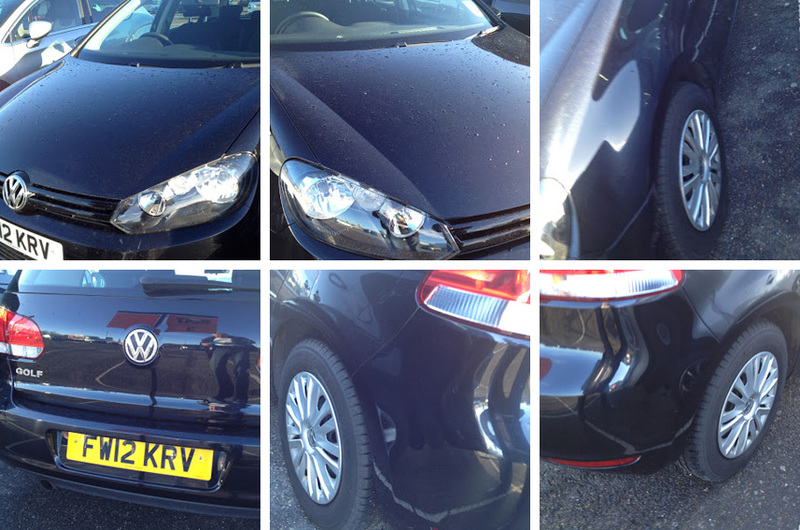 This way you have a visual record of any scratches or dents there may be, It is also wise to check if the car is Petrol or Diesel and if you have to return it full or empty. It always wise when you make your reservation online with Tipoa to insert your mobile number rather than office or home, if you know your mobile will work when you are away. 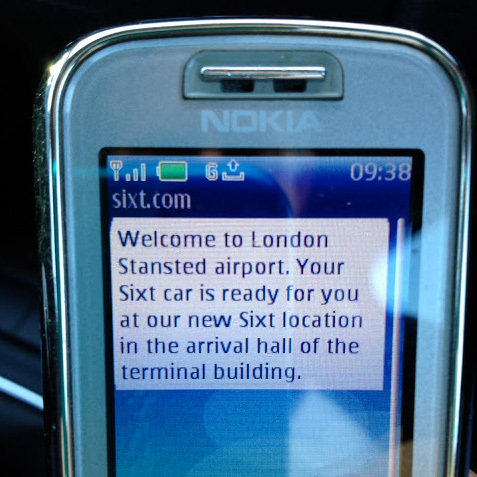 You will receive your SMS reminder, just in case you forgot who your rental car supplier is this time ! 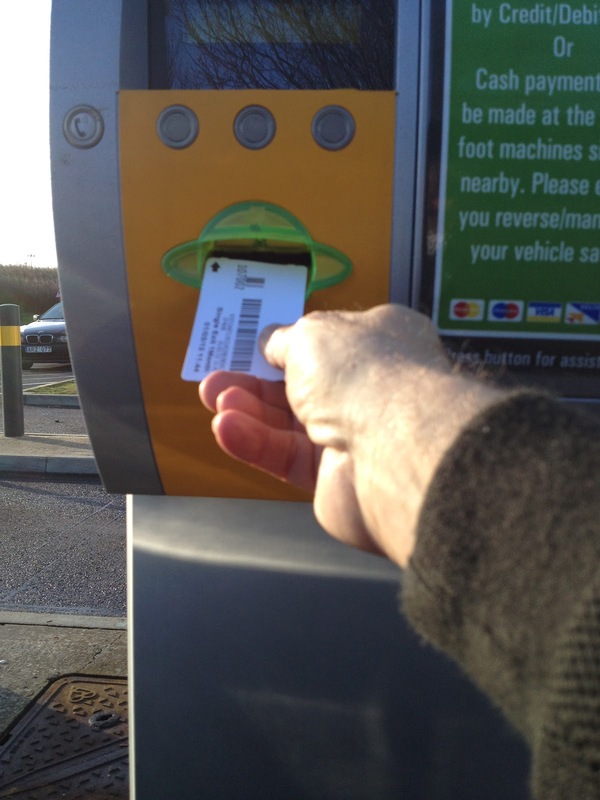 Now it is time to depart the car park, insert you complimentary ticket to open the barrier. Remember to turn immediately left and drive in the left hand side of the road. 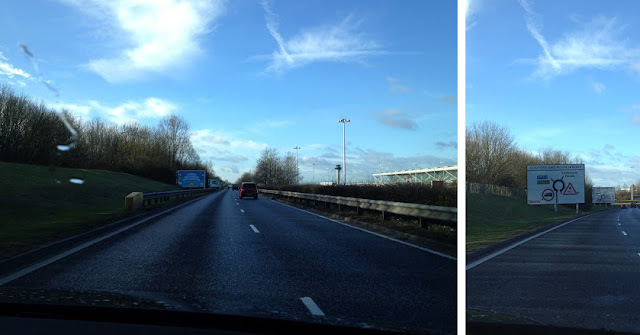 Click here to see what other countries drive on the left hand side of the road. Follow signs for the M11 to drive the London, it is well signposted. London is approximately a 45 minute drive. Enjoy your Tipoa Rental Car ! 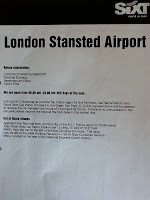 On this occasion my rental was a one-way hire, collecting at SIXT Stansted and returning the hire car to Heathrow. 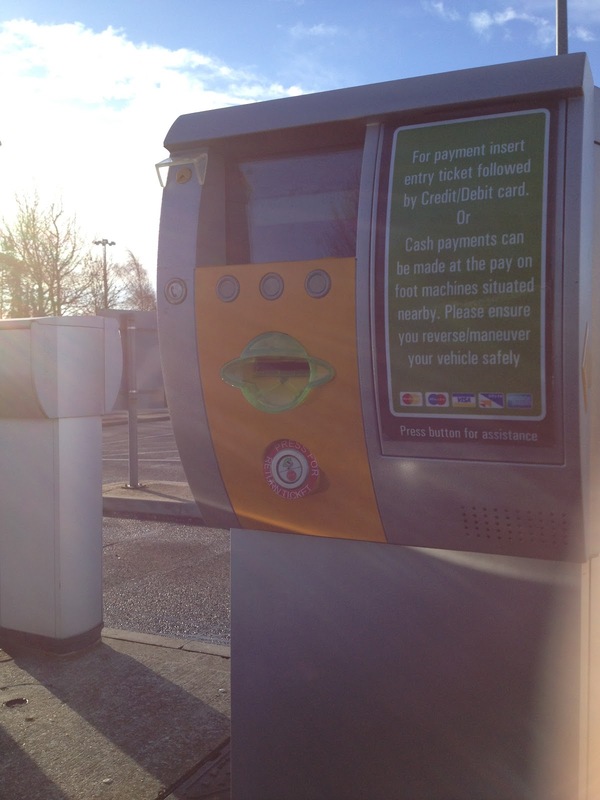 Sixt Heathrow are located very close to the perimeter of the airport, opposite the Jurys Inn Hotel, with access to their office via the BP fuel station on the A30. This was every convenient for filing the diesel car up before my return. The polish staff were very organised and friendly. The whole process took less than 5 minutes. ( but this was early Sunday morning). 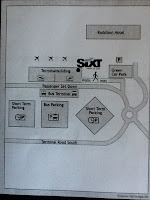 Then the Sixt shuttle bus driver drove me to terminal 3 , in the brand new mercedes bus. 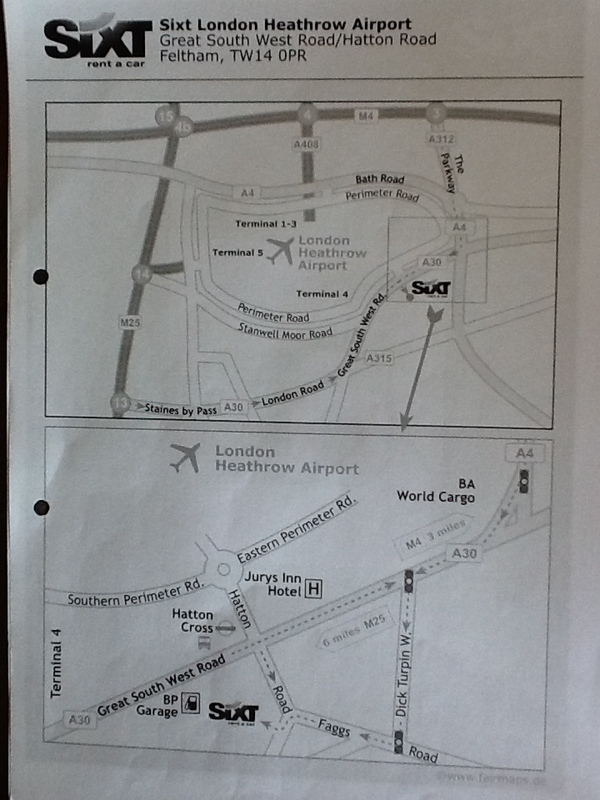 Make sure you check in advance which terminal at Heathrow, your airlines uses. 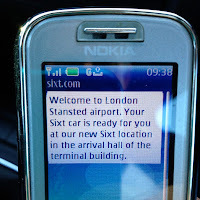 Given my entire four day experience, I can highly recommend Sixt Car Hire.